Thanuja Navaratne, Attorney-at-Law, Notary Public, Company Secretary, Proprietor and Lead Consultant of Gruvyino Consultancies, won the prestigious ‘Most Positively Able Woman Entrepreneur of the Year 2017,’ at an awards ceremony held at the Taj Samudra recently. Gruvyino Consultancies is a leading company providing consultations for the legal and development sector. It is also engaged in project/program management consultancy and training/legal services, real estate investment, and legal advisory services to Government, corporate and development sectors. 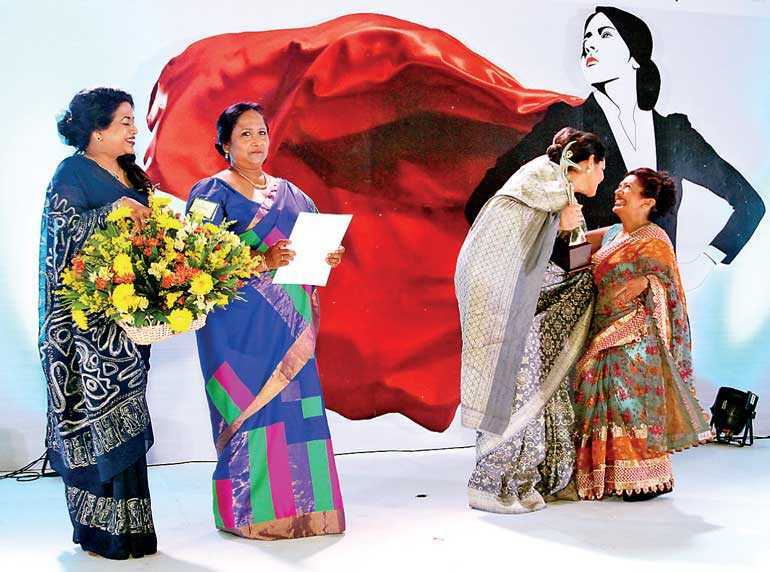 Navaratne said she was delighted with this prestigious award presented in recognition of her tireless effort and would consider this as an encouragement for her future projects. This annual event for the encouragement and recognition of women entrepreneurs islandwide is organised by the Women’s Chamber of Industry and Commerce. The chamber was established in 1985 and it is the only chamber of commerce dedicated to women in Sri Lanka.